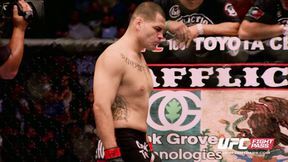 The baddest man on the planet, UFC heavyweight champion Brock Lesnar, is back in the main event of UFC 121, and unbeaten Cain Velasquez is looking to take his belt and become the first man to knock him out. 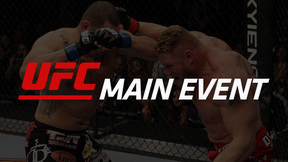 Also on this star-studded event, welterweight star Jake Shields makes his long-awaited UFC debut against perennial contender Martin “Hitman” Kampmann, and its teacher vs. student as Matt “The Hammer” Hamill takes on his coach from The Ultimate Fighter, former UFC light heavyweight champion Tito Ortiz. 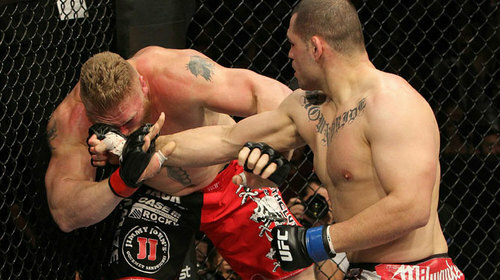 Cain Velasquez vs. Brock Lesnar UFC 121 Sat, Oct 23, 2010 (22:10) The baddest man on the planet, UFC heavyweight champion Brock Lesnar, was back in the main event for UFC 121, and unbeaten Cain Velasquez was looking to take his belt and become the first man to knock him out. Jake Shields vs. Martin Kampmann UFC 121 Sat, Oct 23, 2010 (27:47) Tonight, Jake Shields makes his highly anticipated UFC debut, and matchmaker Joe Silva has not made it and easy road for him. 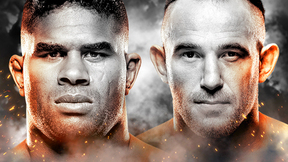 Shields takes on Martin Kampmann who has established himself as a top welterweight contender. 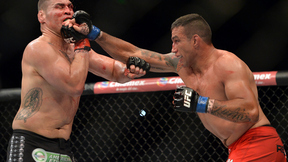 Diego Sanchez vs Paulo Thiago UFC 121 Sat, Oct 23, 2010 (19:17) After two disappointing performances, Diego Sanchez desperately needs to top Brazilian Paulo Thiago and return to the dominant form that helped him scale the ranks of two different divisions. 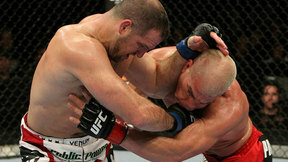 Tito Ortiz vs. Matt Hamill UFC 121 Sat, Oct 23, 2010 (29:16) The student is set to take on his teacher as Matt Hamill faces his TUF coach, Tito Ortiz. Both fighters have excellent wrestling pedigrees, so the determining factor may come down to Tito’s experience vs Hamill’s power. Brendan Schaub vs. Gabriel Gonzaga UFC 121 Sat, Oct 23, 2010 (22:19) Since losing to Roy Nelson at The Ultimate Fighter Finale back in 2009, Brendan Schaub has rattled off two straight wins in the UFC. Awaiting him now is the always Dangerous Gabriel Gonzaga. 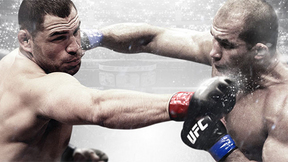 Fans can expect an exciting and explosive heavyweight fight. 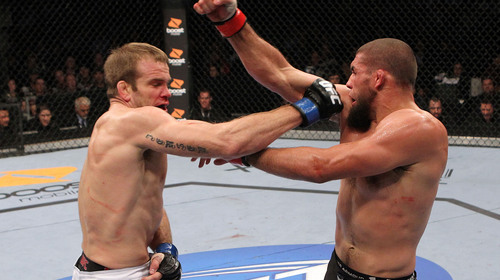 Court McGee vs. Ryan Jensen UFC 121 Sat, Oct 23, 2010 (21:32) A respected veteran whose fight game perseverance is finally being rewarded in the win column, Ryan Jensen has put things together in the Octagon. He now faces Court McGee, an underdog int the fight game who roared back to win TUF Season 11. Tom Lawlor vs. Patrick Cote UFC 121 Sat, Oct 23, 2010 (22:10) Though entertaining in the Octagon and out, Tom Lawlor’s focus is on his fight career, and this TUF vet is on his way to making an impact in the division. 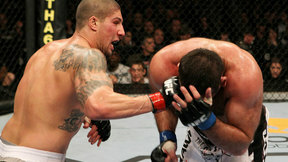 A pioneer of Canadian MMA, Patrick Cote has used his KO power to win 4 bouts and earn a title shot. Daniel Roberts vs. Mike Guymon UFC 121 Sat, Oct 23, 2010 (9:40) MMA vet Daniel Roberts waited 3 years to get his 1st Octagon victory against Petz, but the journey's been even longer for Mike Guymon, the 11 year vet with his 1st UFC win over Yoshida. 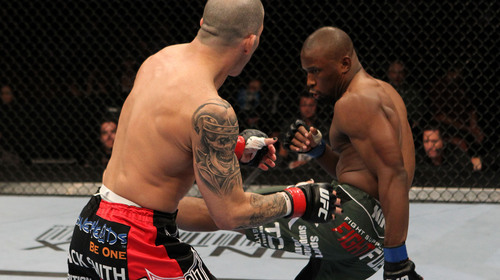 Despite their diverse paths, they'll both leave it in the Octagon. Sam Stout vs. Paul Taylor UFC 121 Sat, Oct 23, 2010 (25:16) After Paul Taylor thrilled fans for over 2 years as a welterweight, the Walsall, England native decided to move to the 155-lb weight class, now facing Sam Stout. Onatrio's Stout has earned 3 consecutive Fight of Night awards, making this an exciting bout. 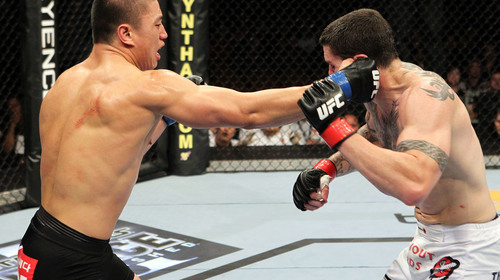 Chris Camozzi vs. Dongi Yang UFC 121 Sat, Oct 23, 2010 (25:45) A member of the respected Korean Top Team, Dongi Yang is undefeated and the latest standout from South Korea to enter the UFC. Chris Camozzi is no welcome wagon though, and with a victory over Hammortree, he knows better than most what it takes to win. Jon Madsen vs. Gilbert Yvel UFC 121 Sat, Oct 23, 2010 (10:04) Amsterdam’s “Hurricane”, Gilbert Yvel, is hungrier than ever to secure his 1st UFC victory after bouts with Junior Dos Santos and Ben Rothwell, and he wants to make an example of Jon Madsen. 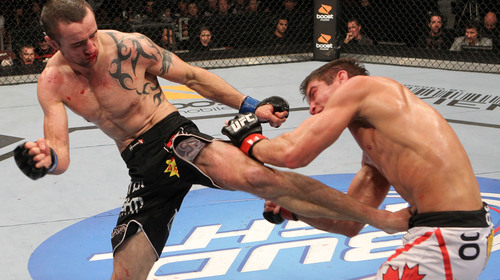 But if there’s one thing Madsen knows, it’s winning in the UFC.